Department of Software Engineering organize computer gaming contest as the title name Inter Department Computer Gaming Contest 2012,DIU. In total 3 games (FIFA 09, NFS Most Wanted, Call of Duty 2). Both teacher and student can participate in this event. 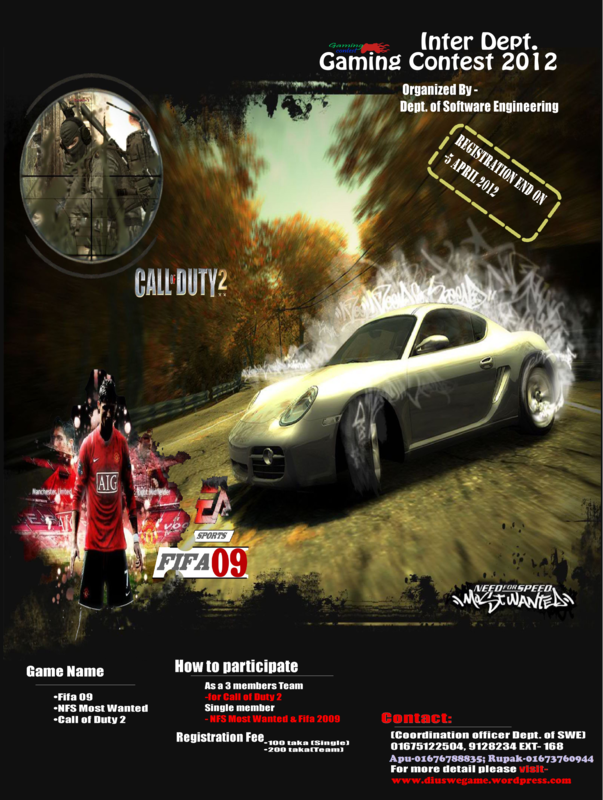 For single player, registration fee is 100 taka only (FIFA 09 or NFS Most Wanted) and as 3 member team, the fee is 200 taka only (Call of Duty2). Good initiative by the students of Software Engineering Department.I belive it will encourage others to hold such kind of thoughtful programs in future.